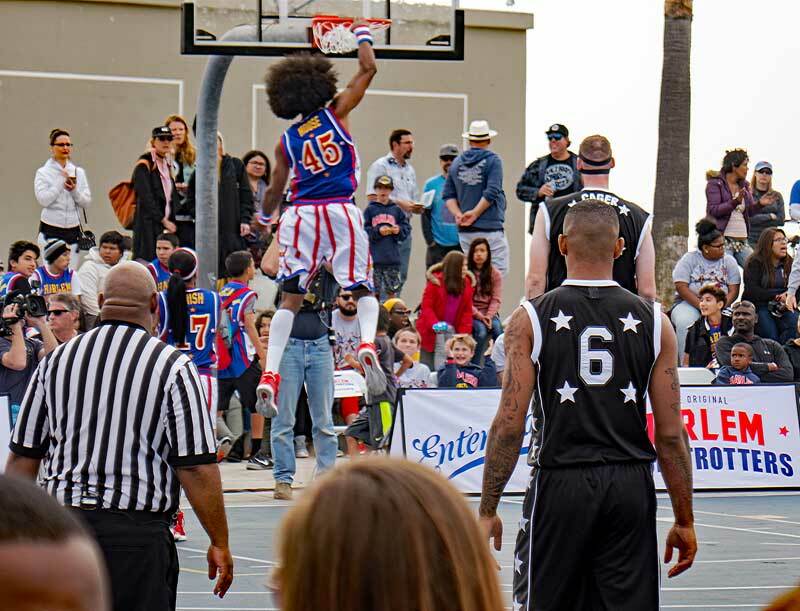 Harlem Globetrotters in Venice California. 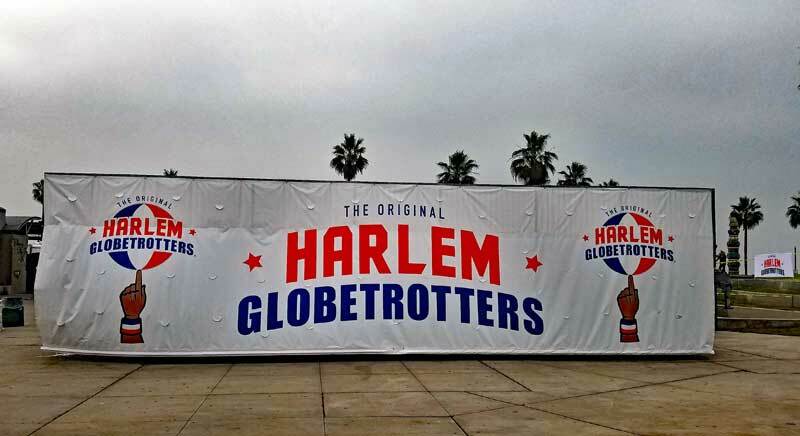 Harlem Globetrotters are in Venice by the Rec. center today December 10 2016! Best time to see them is supposed to be between 12Noon-2PM. 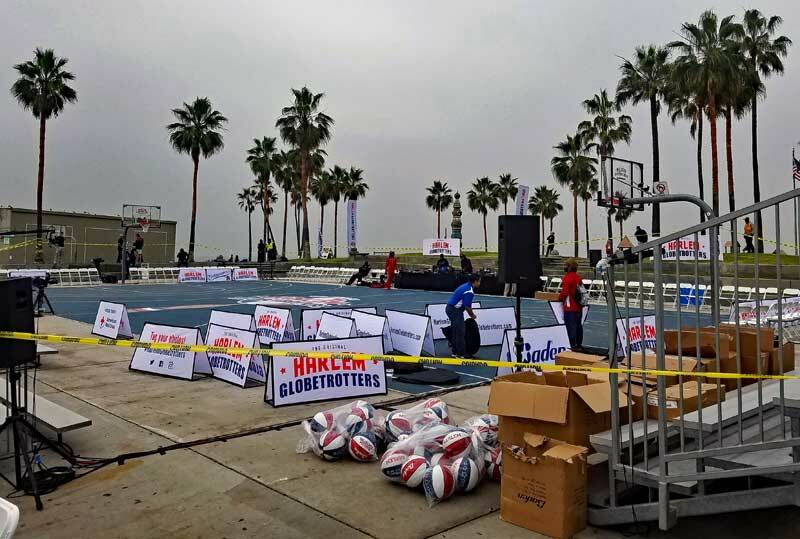 Harlem Globetrotters setting up this morning in Venice. Below are some images from when the team arrived and from the game. 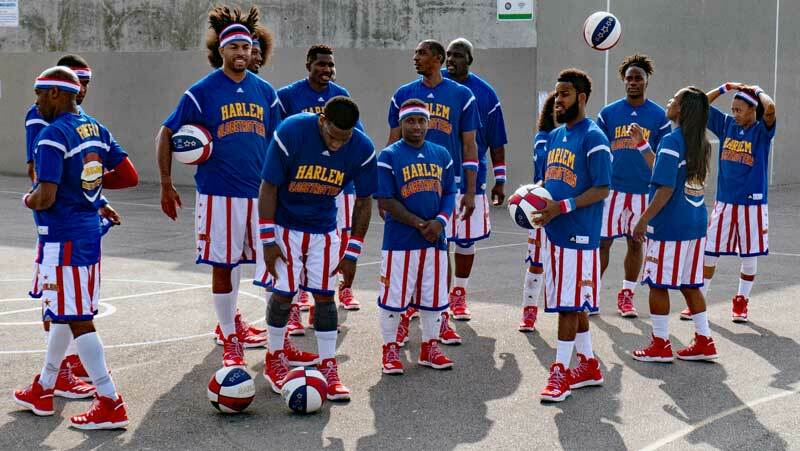 These guys, and girls are truly amazing athletes and showmen/women. 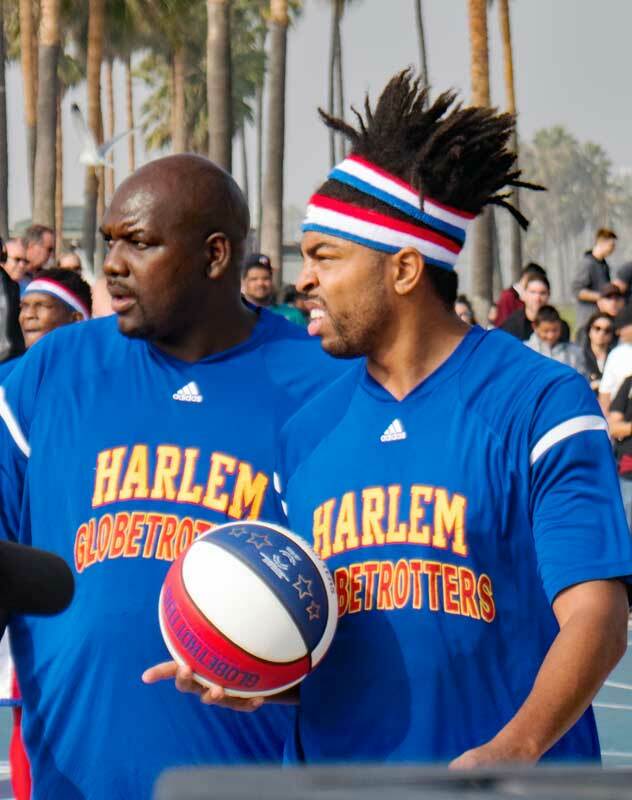 Harlem Globetrotter player Beast and the opposing team World Allstar player Cager. 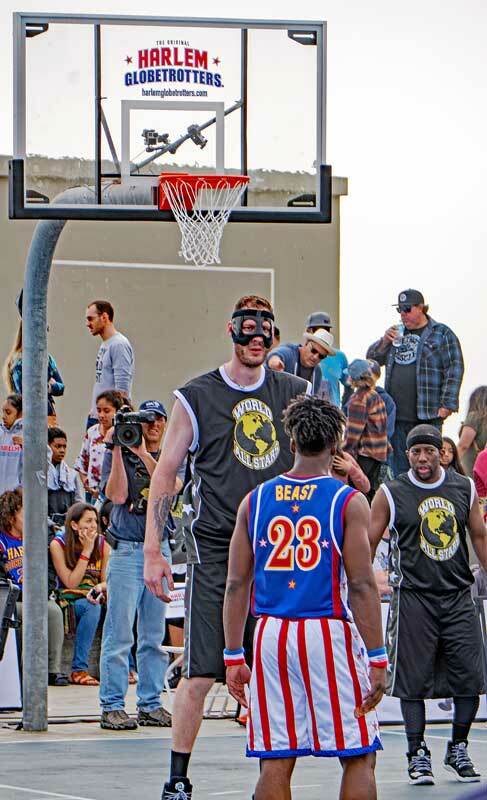 Cager (Paul Sturgess) is a very tall guy. 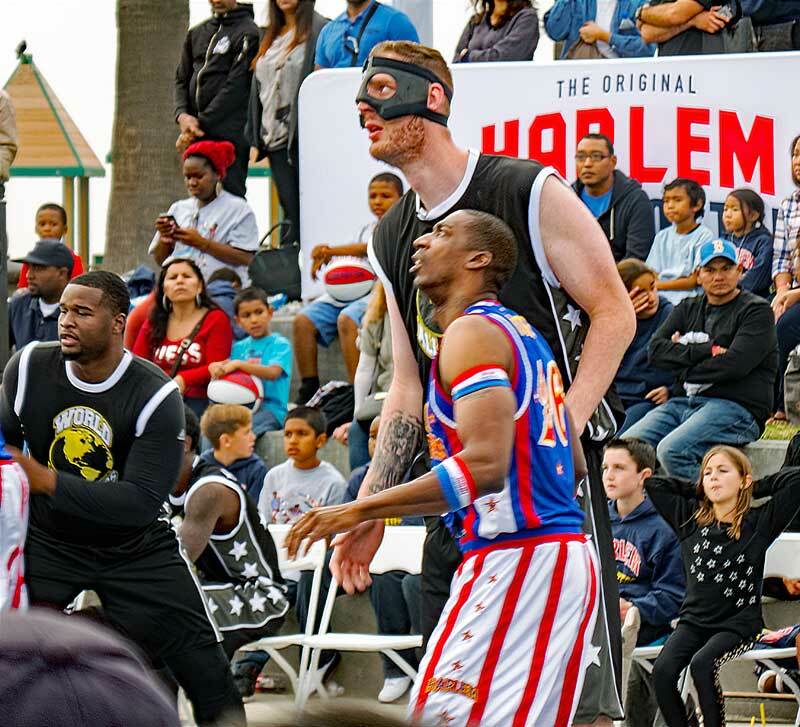 At 7’8″ he is the tallest basketball player in the world, recognized by Guinness World Records in 2011. 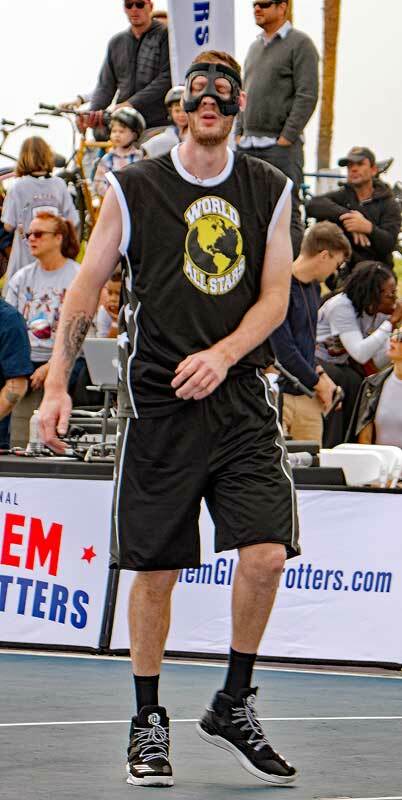 Paul Sturgess is from England, born in Loughborough. 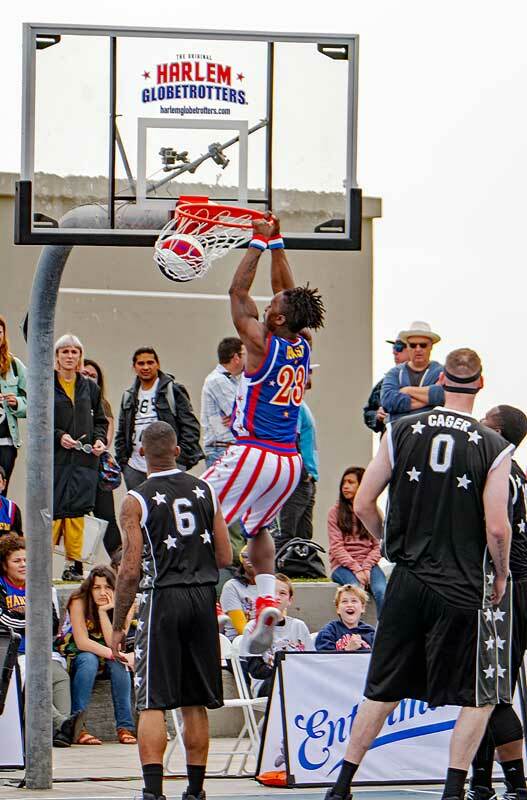 Here is a dunk by the Harlem Globetrotters. 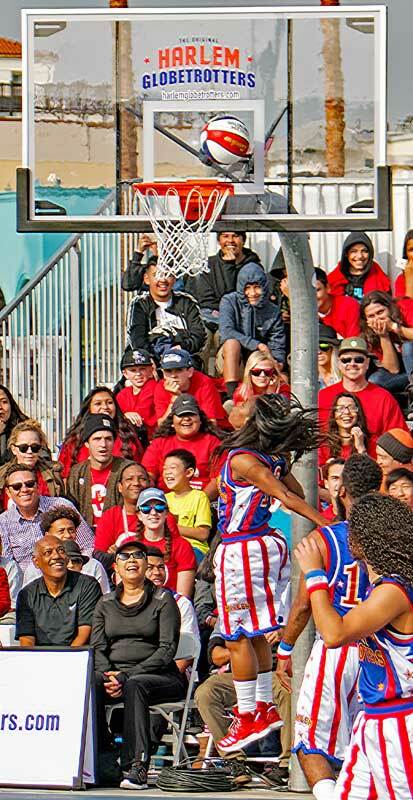 Here is one by one of the female Harlem Globetrotters.